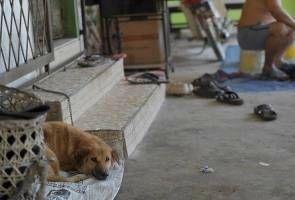 SERIAN: A 52-year-old man has become the fifth victim of rabies in the infected district of Serian in Sarawak. Director-General of Health Datuk Dr Noor Hisham Abdullah said today it was confirmed on July 18 that the man, from Kampung Remun, had contracted the disease. He said in a website post that the man had been bitten by a dog in early May and that he developed what is believed to be symptoms of the disease on July 11 and was admitted to the Sarawak General Hospital. The man is the fifth person in Serian to have contracted rabies. Four people have died of the disease.